PATH Intl. 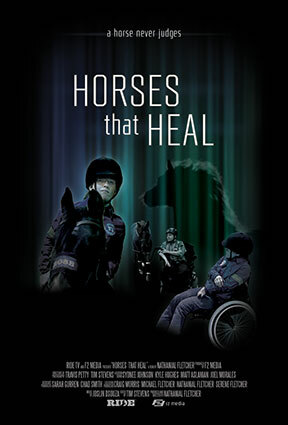 Media Partner RIDE TV and F2 Media are proud to present their first feature documentary, Horses That Heal. Horses That Heal features riders with special needs and their families, and the daily struggles, sacrifices and successes they experience on a daily basis through the effects of therapeutic riding. This documentary features riders competing at the 2015 Chisholm Challenge in Fort Worth, TX, one of the largest equestrian events for disabled riders in the world. Viewers will be immersed in the beautiful stories told by these riders and their families, from great strides in quality of life to the difficulties of finding a service such as therapeutic riding, when it isn't covered by insurance, even though the positive effects on riders are indisputable. Horses That Heal will move audiences and remind them of the unique ability horses have to heal the mind, body and soul. Want to stay up to date with documentary announcements? Go to RIDE TV, click on Join RIDE Nation, and fill out the form. Be on the lookout in upcoming PATH Intl. eNews for information on ways to purchase the film. Congratulations to One Heart Equestrian Therapy, Inc., in Colo, Iowa. Their horse Shane was selected by the American Morgan Horse Association as the Therapy Horse of the Year. Click here to read Shane's nomination letter. Shane's sister, Rosie, was the AMHA Therapy Horse of the Year in 2013, so it runs in the family! As of January 1, 2016, PATH Intl. is no longer accepting the 2014 Compliance form. Please note that CEU requirements have also changed. Click here to view the new CEU guidelines. Click here for the new form. Please contact the PATH Intl. Office at (303) 452-1212 if you have any questions about the new form or the new CEU requirements. When you submit payment for your membership renewal, if you are required to submit a compliance form with payment, you must have all renewal materials submitted to the PATH Intl. office within two weeks of payment submission. Confused about EAL? Not sure what to call it, not sure what training you need? Join us for a webinar presented by the EAL Work Group that will review the latest information so you can be up to speed. 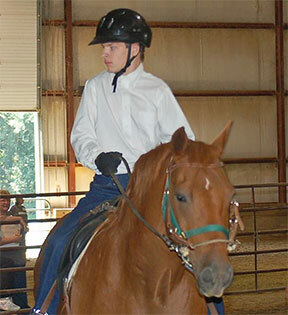 Equine-assisted learning has many commonalities with other equine-assisted activities. It requires experienced professionals, knowledgeable about the populations they work with and in providing meaningful equine interaction activities to help explore and develop their skills. Many PATH Intl. Centers have been surprised by how difficult it is to engage veterans in their program for military personnel. This is actually a very natural consequence of the plight our veterans are experiencing. Bob Woelk, co-founder of Rainier Therapeutic Riding, a PATH Intl. Premier Accredited Center in Yelm, WA, will share how you can successfully attract and retain veterans at your center. Because charging these veterans for their classes is counter-productive to this effort, he will also share how you can attract funding from your local communities. May 16-19, 2016 UpReach Therapeutic Riding Center, Inc.